Take a stroll in the corner of the Meiser square or in the middle of shopping on the side of the Chaussée de Louvain, you will be spoiled with the idea of ​​savoring delicious grilled meats with fresh products from the Mediterranean ... Brusselslife invites you to go to a Greek restaurant that is warm and friendly, in other words, at Anesti's! Here you can enjoy many typical dishes with homemade Mediterranean flavors. In particular the small bones, pittas, grilled meats and other kebabs! In their culinary pantheon, you can also find delicious mezze with gratinated feta, black olives and tzatziki, fried calamari, lamb chops, and moussakas. Installed for twenty years in Evere, in the Paduwa district on the edge of Brussels, Anesti is the hub of tasty evenings in good company. In a typically Greek-style setting! To savor Greek products and wines, the price / quality ratio is excellent. 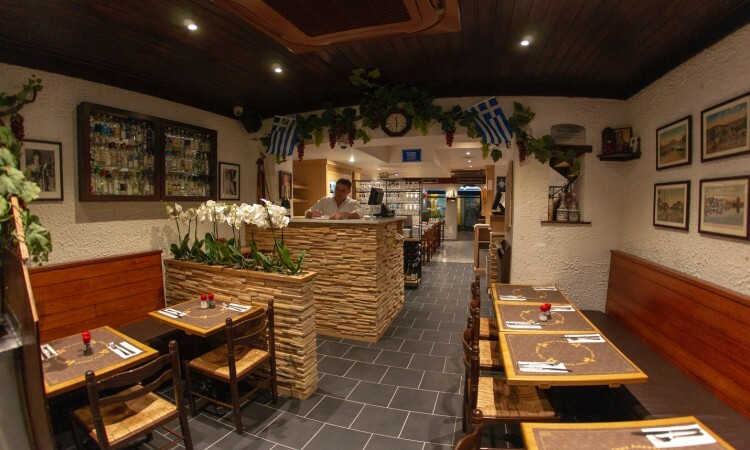 If you are looking for a place to spend good time with family or friends, around a good Greek table, this is the place for you! Both for private and festivities, it is all possible: the establishment is privatized to accommodate up to 150 people. It is better to book in advance, the places being very frequented by local and neighboring customers! They will serve you with pleasure for lunch and dinner and additionally, Sunday non-stop service until 22h!